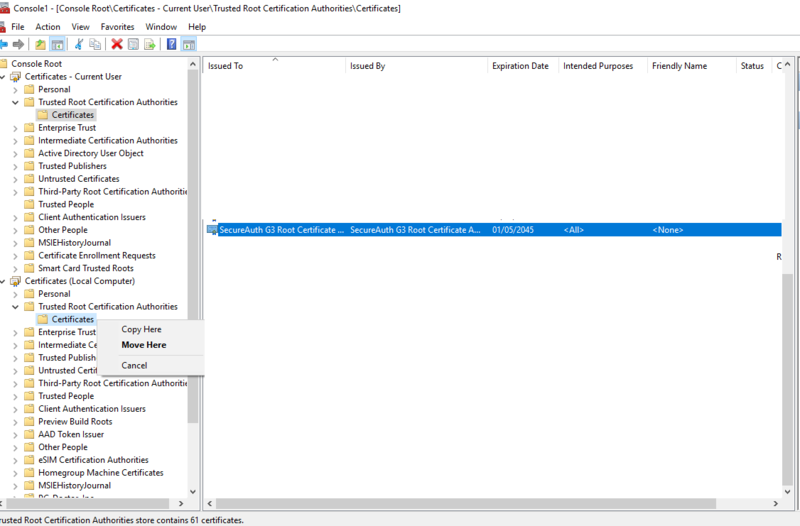 Description: After installing Login for Windows, the test User works fine as do people in the bypass group but regular users see the error "No two-factor authentication methods found"
Cause: These Users do not trust the IdP Certificate. This can be proven by adding the User to the bypass group, logging in and then opening the SecureAuth server address in Internet Explorer. If there is a certificate warning, this is the problem. 3. View the Certificate by clicking on the Padlock icon. 6. Click install certificate and select the store location of Local Machine - this will mean that everyone trusts the Cert.